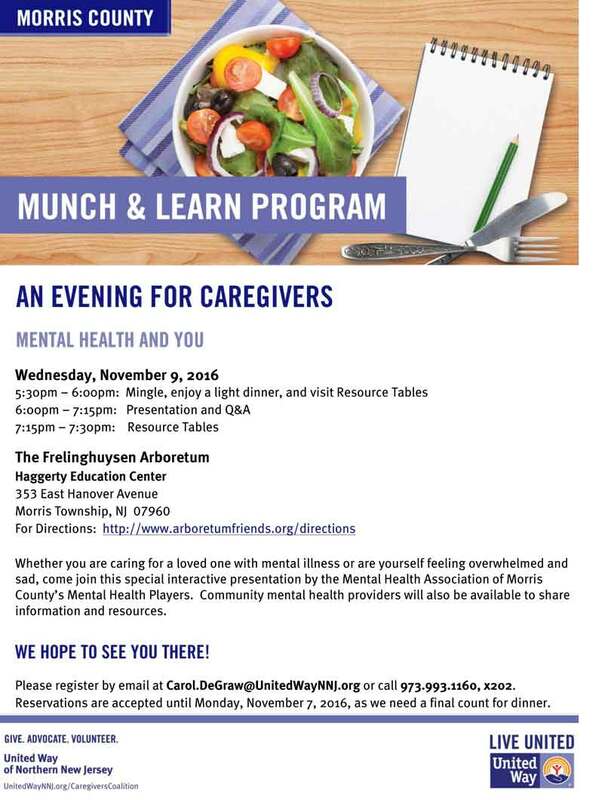 In recognition of National Family Caregivers Month in Morris County The Untied Way will host Munch & Learn | BrightStar Care " "
In recognition of National Family Caregivers Month in Morris County The Untied Way will host Munch & Learn on November 9th. Caregivers Coalition meeting will be on Wednesday, October 12th. Adam Wilson, Esq. of Hinkle, Fingles, Prior & Fischer, P.C. will present on “The ABLE Act”. The ABLE Act is federal legislation that aims to ease financial strains faced by individuals with disabilities by making tax-free savings accounts available to cover qualified expenses such as education, housing, and transportation. There will also be a “Getting to Know You” presentation by Karen Webster, Caregiver Coordinator for the Morris County Office on Aging, Disabilities, and Community Programming.